Bacon & eggs, toast & vegemite, Patrick Stewart & Ian McKellen, gin & tonic... Some things just go together. The bitter taste of tonic water is taken for granted as gin’s BFF. The truth is, this mixer has a long and rich history spanning the globe, even playing a critical role in helping the expansion of a flourishing British empire. Tonic water is a carbonated soft drink we’ve all too often mistaken for a bottle of soda water in the fridge (big mistake). The bulk of modern day tonic water consists of carbonated water, lots of sugar and just a tiny amount of quinine to give it’s distinct bitter flavour. Fun Fact: The quinine inside tonic water is fluorescent and glows under UV lights (Perfect for your next rave). Quinine is a bitter compound extracted from the bark of the Cinchona tree. The name was derived from the original Quechua (Inca) word for the cinchona tree bark, 'quina' or 'quina-quina', which means "bark of bark" or "holy bark". The practice of consuming the bark extract from the Cinchona tree was first utilised by indigenous populations in areas like Peru and Ecuador who recognised the bark for its healing properties long before introducing it to Spanish explorers in the 17th century. The quinine was used by many local tribes in the area as a muscle relaxant to cool shivering in cold weather but it wasn’t until this compound was adopted by Europeans that its new use as an anti-Malaria drug was discovered. Quinine was a godsend for the expanding British Empire during the 19th century. 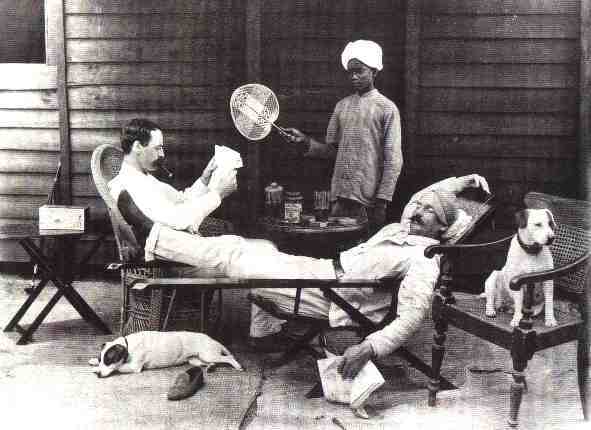 British officers were regularly stationed in new and exotic tropical lands awash with Malaria including India and Africa. Many historians believe quinine to be the reason Africa ceased to be known as the "White Man's Grave" and British settlers were able to flood to this "new" continent en masse. The effective Malaria treatment was in high demand but there was just one problem. Everyone hated the bitter taste of their medicine. British troops in Colonial India began experimenting with ways to make their generic Malaria tonics more palatable. Mixing in their gin ration, lime and sugar, the troops had found how to help make the medicine go down. The first commercial tonic water was produced in 1858 in British Colonial India and before long, a much loved, refreshing drink that was perfect for the warmer weather of the colonies became fashionable and very trendy to drink. This drink would go on to become the archetypal British beverage that is loved right across the world today - the Gin and Tonic.